Your sleeping habits have a significant influence on how you feel during the day. Sleep is essential to good health, so as you make improvements to other areas of your health it is wise to evaluate how well you are sleeping, and to make changes to your nightly routine to set yourself up for a better night of rest. Many people look at sleep as unproductive and cut hours out of their sleeping budget to squeeze in more time with friends and family, to get in a few more hours of work, or even to catch up on their favorite TV shows. However, sleep is a fundamental component of a healthy lifestyle. Without it, you may put yourself at a heightened risk for a collection of serious health concerns. Sometimes, the intention to sleep is there but the ability to sleep well is not. This is the case for millions of people who struggle with sleep disorders, such as insomnia and sleep apnea. If you have difficulty falling or staying asleep at night, speak with Dr. Kerendian about your sleeping habits and concerns. 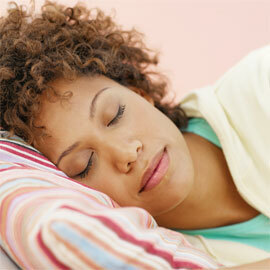 Your habits play a role in your ability to sleep soundly night after night. Developing a routine with poor sleeping habits can prove difficult to break, especially when large amount of caffeine or poorly timed naps are involved. Making healthy changes like these to your lifestyle can significantly improve your sleeping habits, which may help you feel more energetic throughout the day. How Do Lipotropic Injections Work? Affects of stress on the body!